I absolutely love it when it rains or snows in NYC. The colors of the city come out differently and at night, the streets light up from the wet ground. People walk or run fast to get to their destination while trying to stay as dry as possible! I prefer that it does not rain EVER but if it had to, then I don't mind being outside taking photos =). I still prefer snow over rain though, what do you guys think? 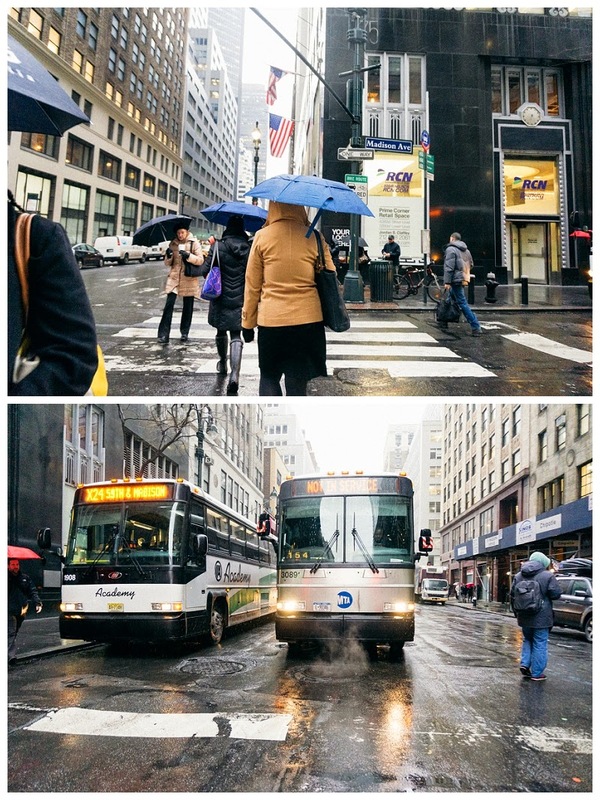 Which do you prefer if you had to walk outside for lunch or to take the train home after work?